Southern California - The Flower Girl & The Wedding Officiator -A True Clergy Network Story - Real- Time Wedding Ceremony Reporting by TCN. "Isn't She Lovely, the song by Stevie Wonder comes to mind - This four year old, the epitome of cute! Lovely black hair pinned up in a twist and accented with flowers, complete with the pink little chiffon flower girl dress, flower petals and basket. It was the big moment.... the TCN Wedding Officiant walks down the aisle, then the groomsman arm and arm with two bridesmaids, then the flower girl entrance. Down the aisle she goes, confident, smiling, throwing flowers, then straight up the stairs to stand next to the officiator behind the microphone. Suddenly looking up and grabbing for the microphone, she softly says, "I want to say something". The room exploded in laughter! It is quite possible that the TCN wedding clergy was almost put out of job by this future generation Wedding Officiator,she was just that sweet! Conclusion- The Clergy Network has so many stories to tell about wedding ceremonies, anything can and did happen. We are wedding officiator experts in so many ways. 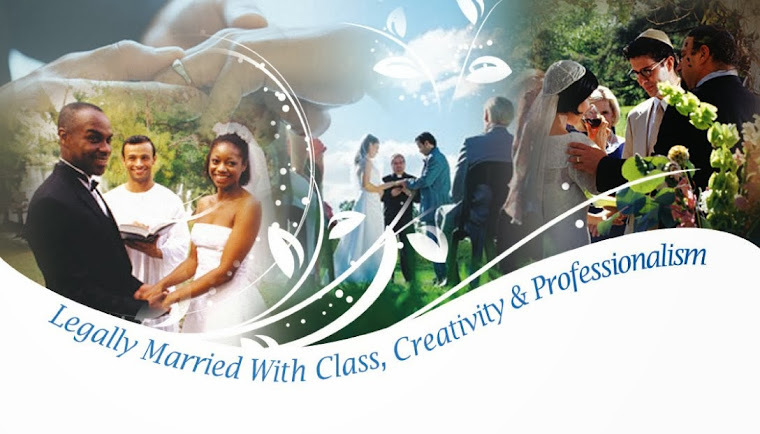 Stay tuned for more Clergy Network Of Southern California "Real-time" wedding officiator reports.